*NEW, distance changes are managed by your profile and are subject to a $5 processing fee, plus any costs of upgrades or price scheduling. Please, take time to select the distances you want to achieve with your training schedule. 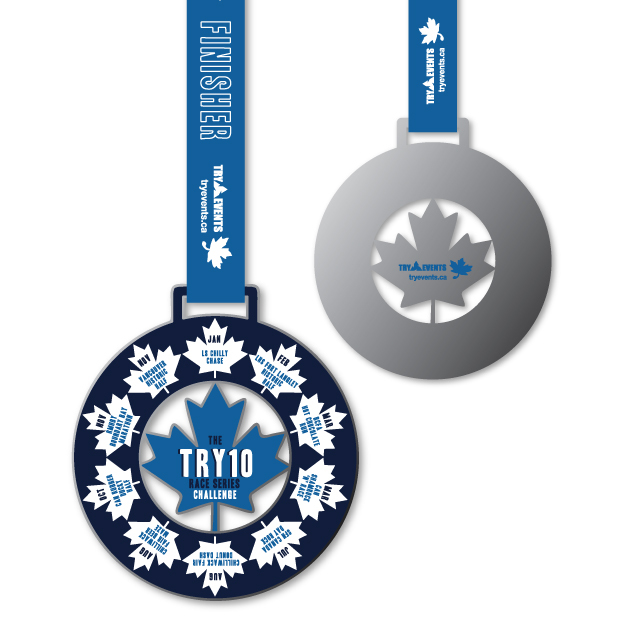 Only if you successfully complete all 10 events you will be awarded the TRY EVENTS race series CHALLENGE completion medal! Are you ready to take on this CHALLENGE and collect this savings?